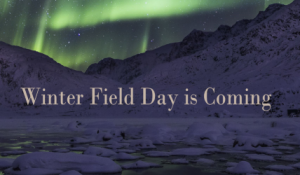 Winter Field Day runs for 24 hours during the last full weekend in January each year from 1900 UTC (2pm EST) Saturday to 1900 UTC (2pm EST) Sunday. For 2019, the dates are January 26th and 27th for more information go to their web site https://www.winterfieldday.com We will be operating at the Steel City club and meeting at the club abut 1:30 on Saturday. Its a open event for any hams or non hams. Hope to see you there. This entry was posted in Club Happenings, Contesting by Chris Grimm. Bookmark the permalink.